The 375cc Sniper-X was designed to fill a void in the BBC cylinder head market. 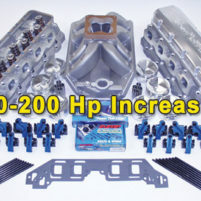 There are many high end conventional BBC heads on the market today some require custom pistons, valve train or other components. 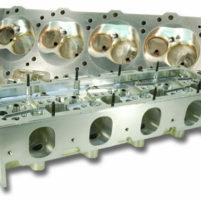 Darin Morgan of Reher-Morrison Racing Engines working in conjunction with Profiler set out to design a conventional BBC cylinder head that didn’t need these expensive components yet yielded the same power. 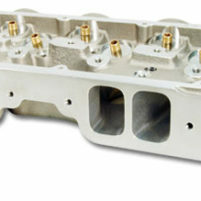 The result is the Sniper-X 375cc cylinder head. The Sniper-X needs no special or expensive aftermarket parts. 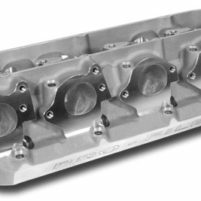 The Sniper-X has standard port locations, accepts stock valve train, stud girdles and needs no relocation of valve relives in pistons. The 375 Sniper-X is a “DIRECT Replacement” for your BBC race engine. In testing on engines ranging from 540-632cid, the Sniper-X has shown gains of 25-35 Ft./Lbs. and 35-45 Hp! 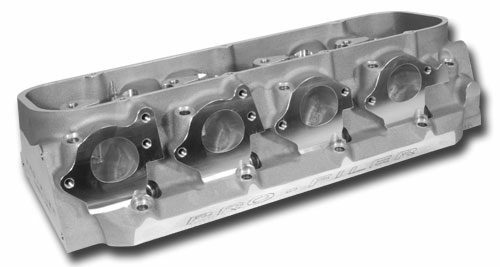 These heads have incredible flow numbers, yet retain very high air speed due to its smaller 375cc port volume. This produces better overall torquw, better shift recovery and much lower ET’s than the larger port heads, even on 600+cid engines!